The new feed barge will include a dock for a workboat. Image: AKVA. 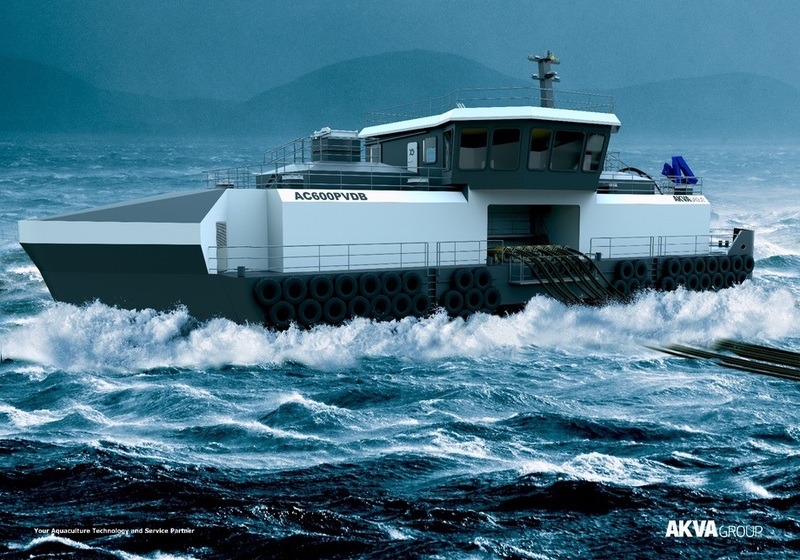 The 800-tonne capacity barge will be used in exposed sites and rough conditions and has been designed accordingly. It is 64m x 13m and is certified for significant wave heights of 7.5m. It has space for a Polarcirkel 1050 workboat in the stern and a ramp to lift vessels out of the water for protection against rough seas. The barge is designed to service two large semi-submersible cages developed by NRS in conjunction with Aker Solutions. 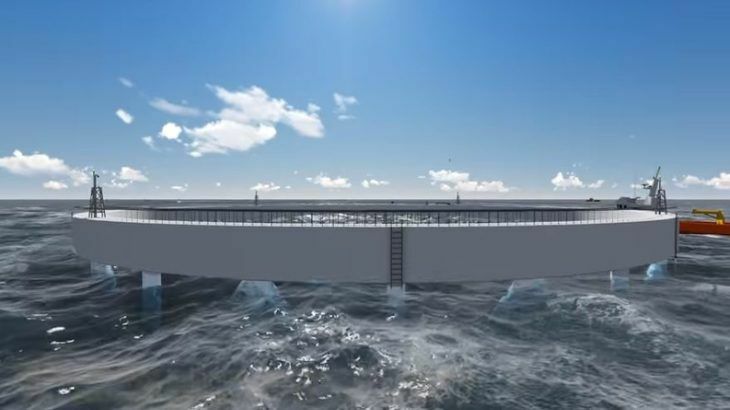 The cages can each hold 3,000 tonnes of fish and withstand 15-metre waves. The barge is equipped with both flexible feeding and waterborne feeding so that fish can be fed with the cage raised or lowered. 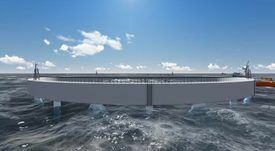 NRS chief operating officer Klaus Hatlebrekke said the feed barge was a step forward for the aquaculture industry. 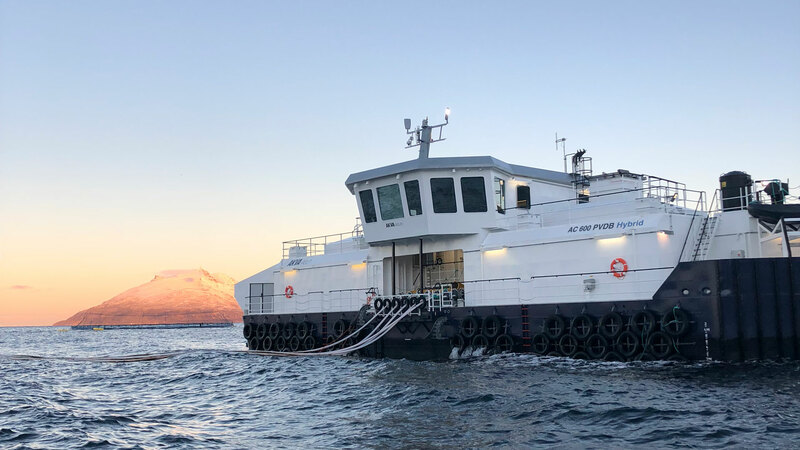 “AKVA group contributes to setting a new industry standard for offshore farming with unique solutions combined with a focus on fish welfare and safe work conditions,” said Hatlebrekke. The AC 600 PVDB feed barge is AKVA's largest order for a single barge. Photo: AKVA.